Yuasa VRLA Battery YPC26-12 12V 26Ah from County Battery. 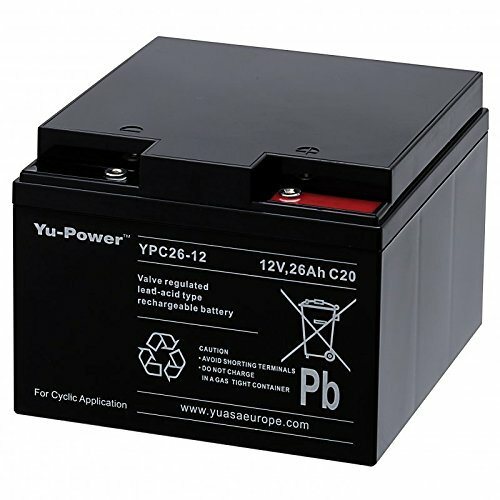 The Yuasa VRLA Battery YPC26-12 12Volt 26Ah Battery is the replacement for the TEV12260. A Yuasa YPC26-12 Battery designed for cyclic applications. Yuasa YPC26-12 Battery with black or white casing.